Angelite is a stone most commonly used to transmit prayers and connect with the angelic realm. Angelite can be used to connect with your guardian angels by asking for their assistance. 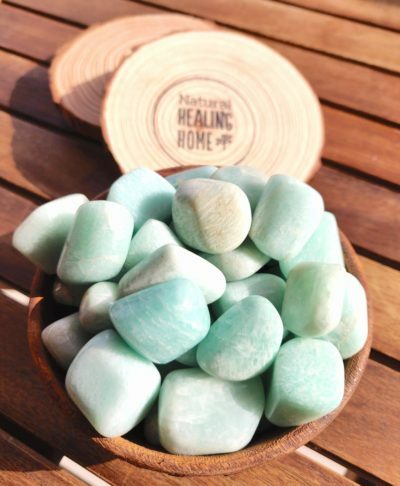 Angelite is also a stone that will help you in speaking your truth if you find it hard to do this aloud. A beautiful gift for someone moving into a new home to connect with their guardian angel. Colors: Angelite can be found in a variety of colors ranging from pale or mid to celestial blue; also white or grey, violet, occasionally flecked with red. 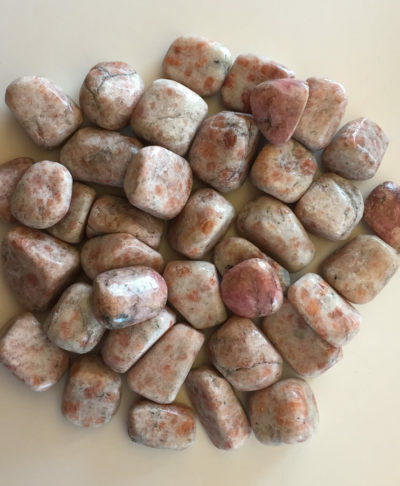 Physical benefits: Helps with infections, throat chakra issues – thyroid, throat inflammations, indigestion and stomach acidity, other abdominal issues. 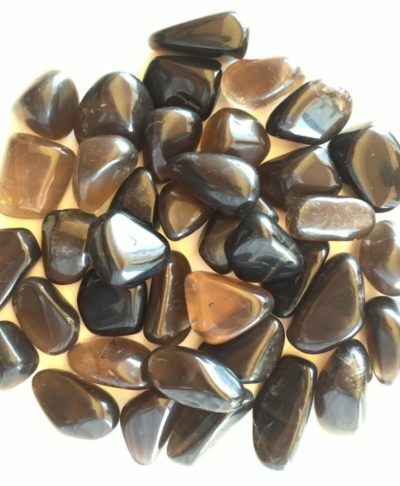 Emotional benefits: Used for bringing in healing energies from Angels via your hands and voice. Good for communication difficulties. At the workplace: Angelite is a stone for singers and musicians. Anyone in customer service fields will also benefit. Helps adults fit in and disabled children be accepted in mainstream. Best for: Assisting in clairaudience. Protection from Angels. Affirmation: I call on the angels to enter my daily world. Small to Medium. Sizes vary for every tumble as it is a natural product.